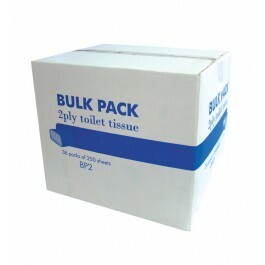 Superflat Pack Toilet Tissue is a very popular and common washroom solution. The toilet tissue is interfolded so only one sheet of paper is released at a time and is very hygienic as only one sheet of tissue is touched prior to use. Popular in schools and colleges due to the fact that they offer excellent value for money, amazing cost in use and the dispensers don't take up much space. This product is designed to be used with either a metal or plastic bulk pack dispenser, or any other bulk pack dispenser on the market. 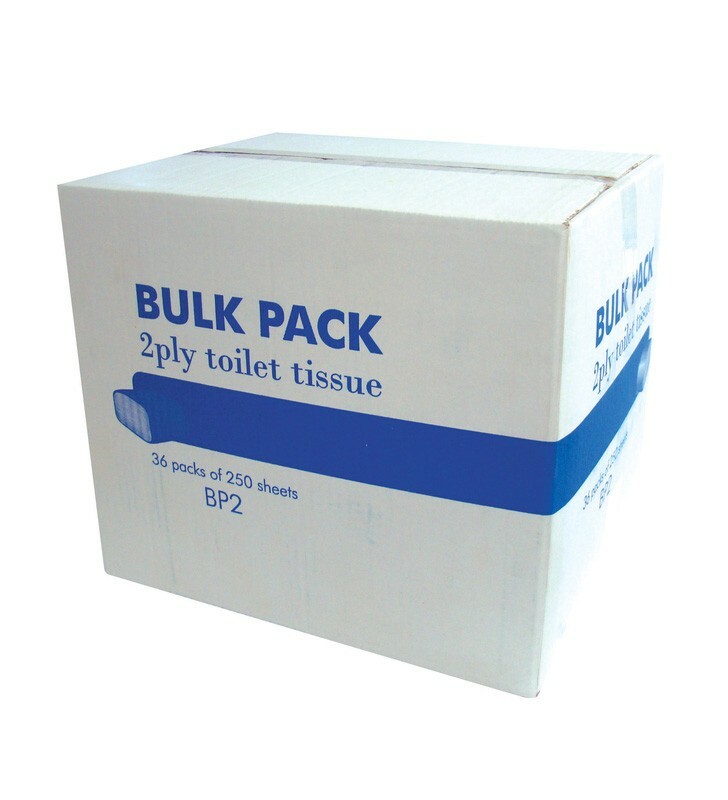 Superflat Pack Toilet Tissue is also commonly known as Bulk Pack, Mutiflat or Interleaved Toilet Tissue. The product is a 2ply tissue, 250 sheets per sleeve, with 36 sleeves per case - 9,000 sheets per case. Up to 40% less tissue is used when compared to other rolled tissue formats. Single sheet dispensing - reduces waste and cross contamination. Dispensers have a viewing window - so they never need to run out.